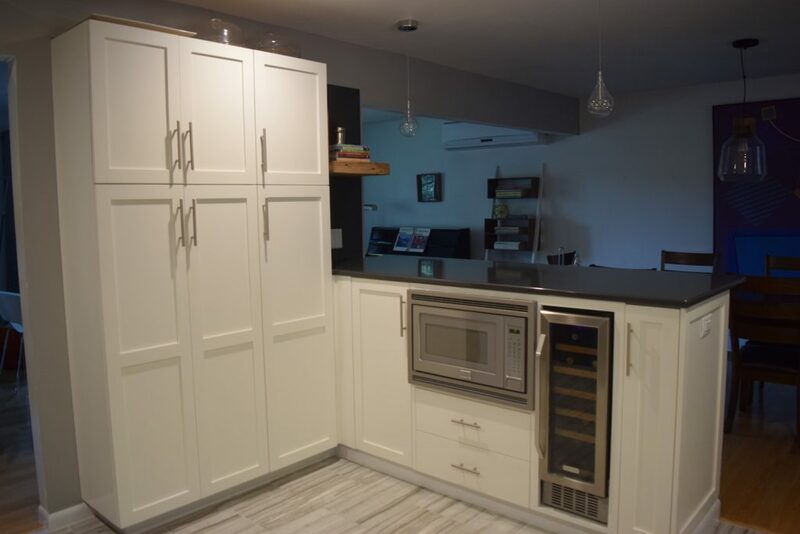 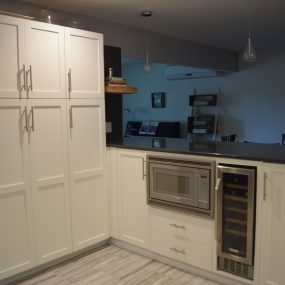 The kitchen is the spot where most everyone hangs out when you have company over so naturally you would want a fabulous kitchen in your home. 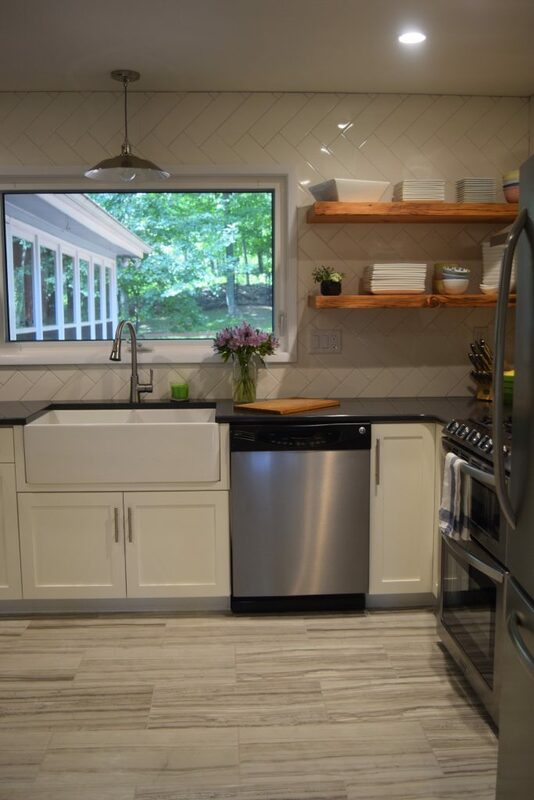 Andrew and team took on the challenge to give them their desired space. 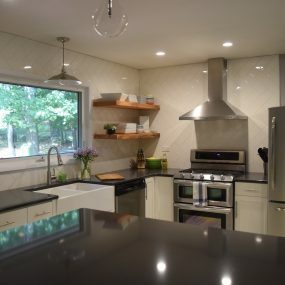 They worked with the home owners to chose materials and fixtures that were modern, bright and classy all at the same time. 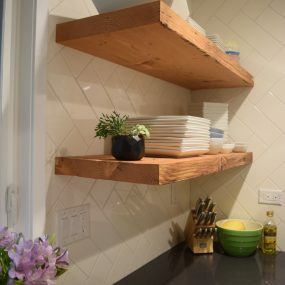 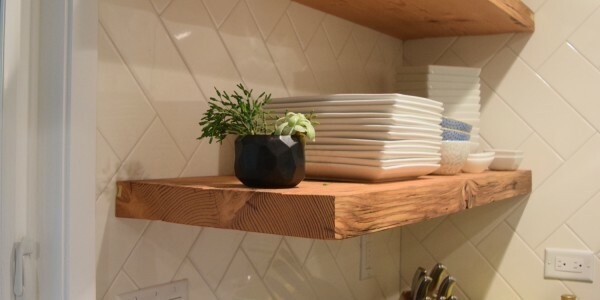 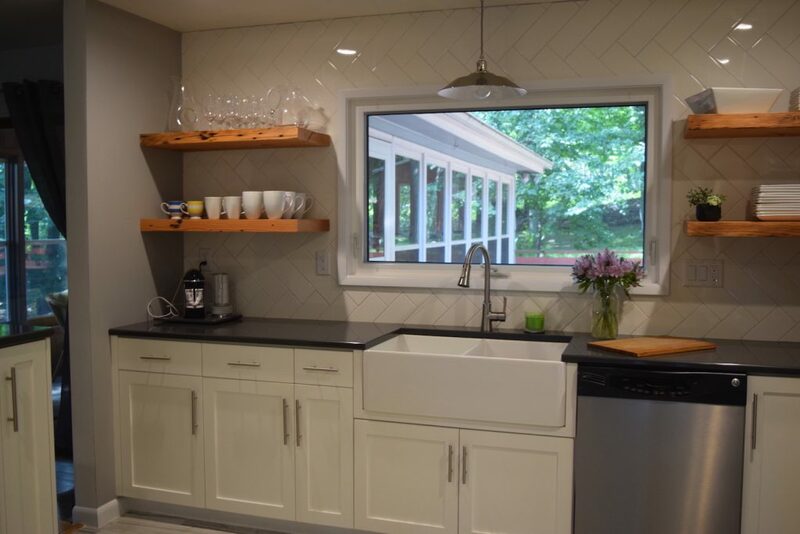 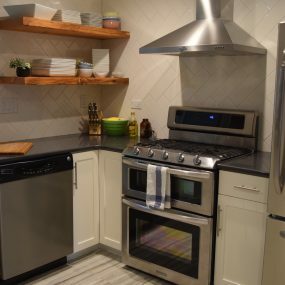 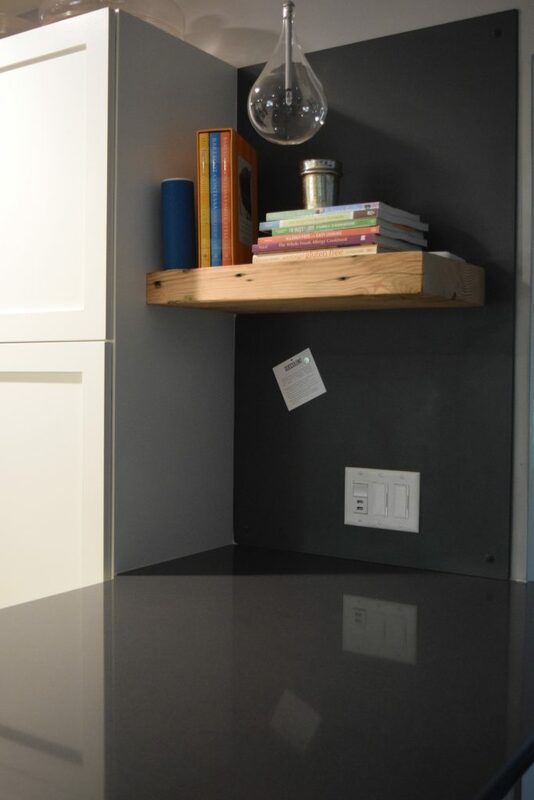 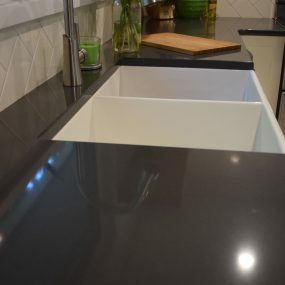 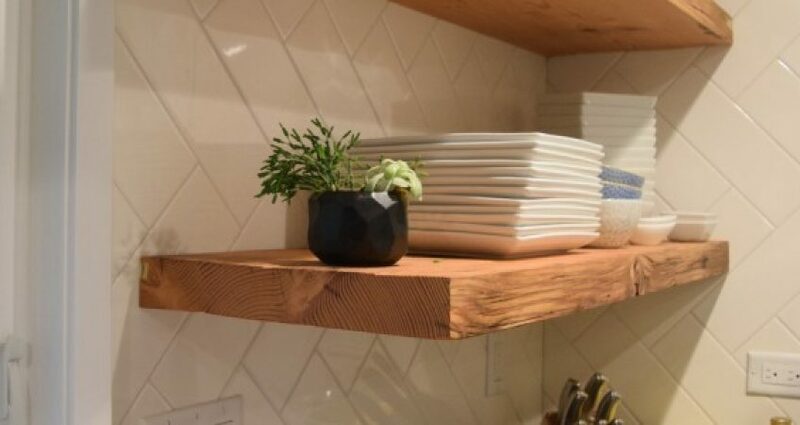 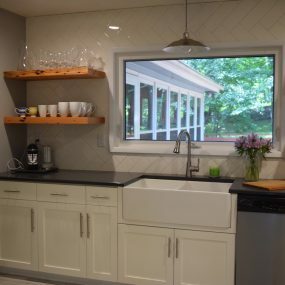 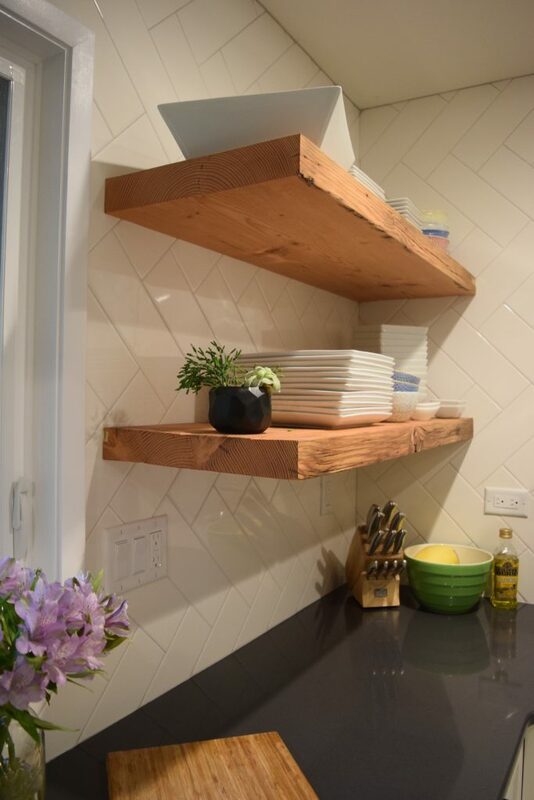 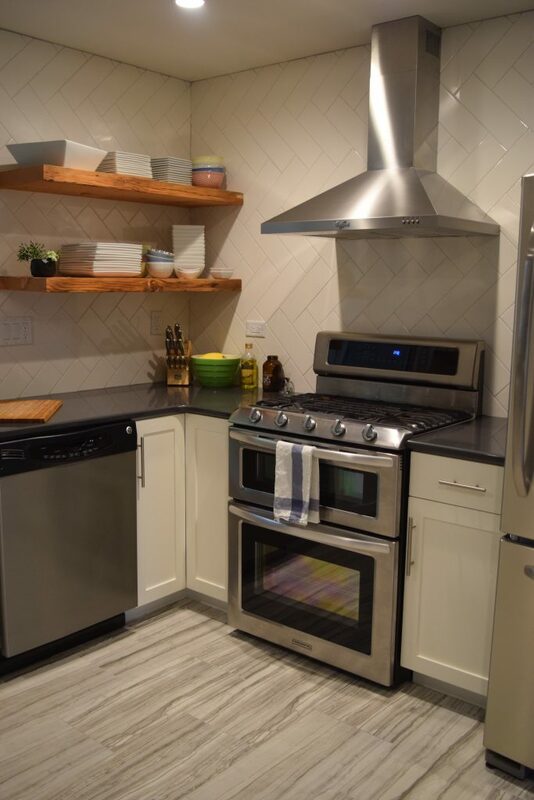 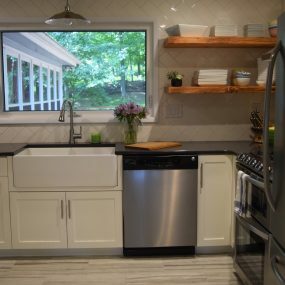 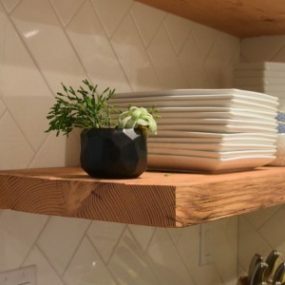 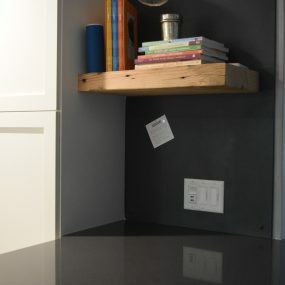 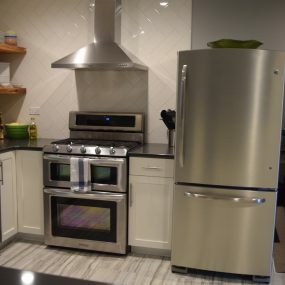 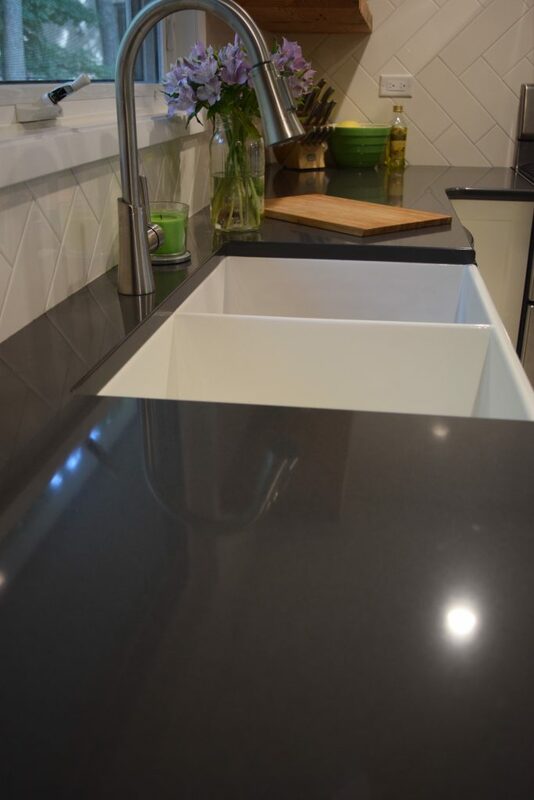 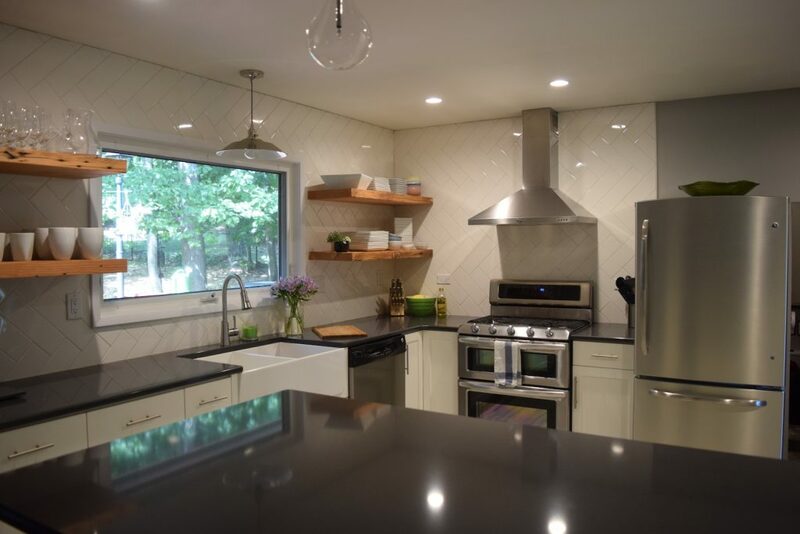 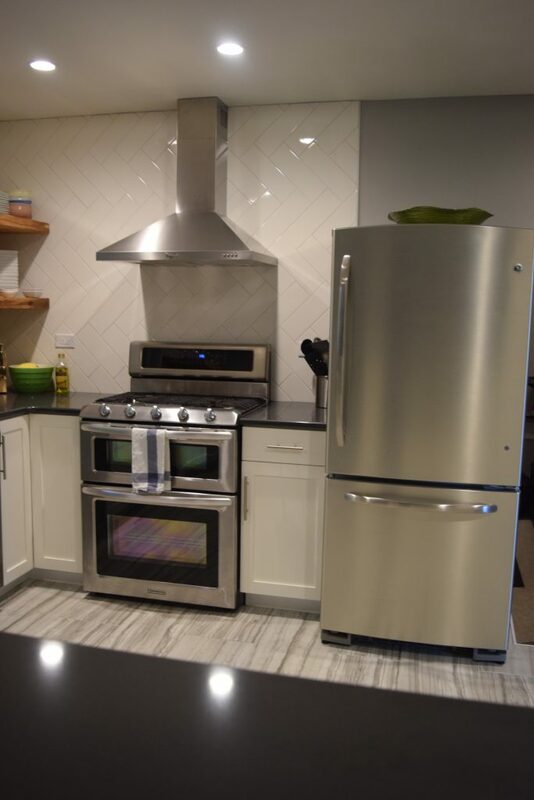 With a mixture of white subway tiles (turned on an angle); light grey flooring; grey/black countertops and floating wood shelves this kitchen came together beautifully.